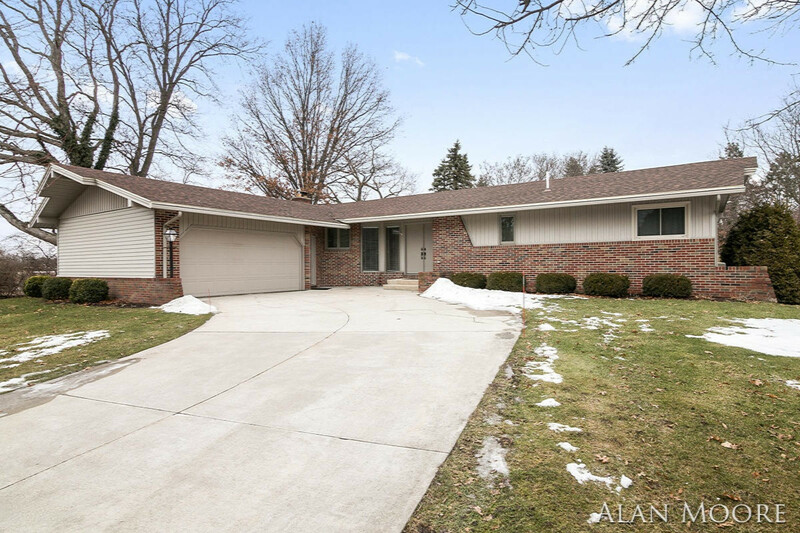 Conveniently located in the award-winning Rockford School District, this hard-to-find gem is located off a quiet cul-de-sac and offers a large 1/2 acre + lot. The desirable ranch style home offers 3 bedrooms, 2 baths and 1664 square feet on the main level. Move-in ready and very well-maintained! The spacious kitchen has plenty of cabinetry and counter space, and will come complete with appliances. There is also a formal dining room, family room with sliders to access the two back-yard decks and aliving room complete with floor-to-ceiling masonry fire place and plenty of oversized windows to let in the natural daylight. The open foyer and high traffic areas have easy to care for high pressure laminate flooring. The lower level has a small area finished off that could be a great exercise room, home office or rec room. The lower level utility room has a laundry tub and will also include the washer and dryer. The home is on Plainfield Township water.